Bonita is a brand that's new to me. This is only the second Bonita I've worn, and the first time for a full mani. I wore one (Dying To Party) color on my monochrome skittles mani. I bought this entire Halloween collection because it was cute and I liked the colors. Also, I was really interested in trying it out. 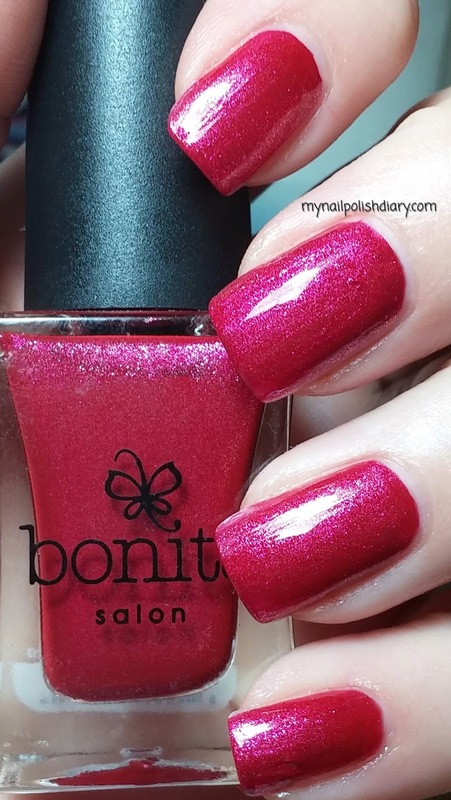 Bonita Too Cute To Spook is a strawberry pink with fuchsia shimmer. 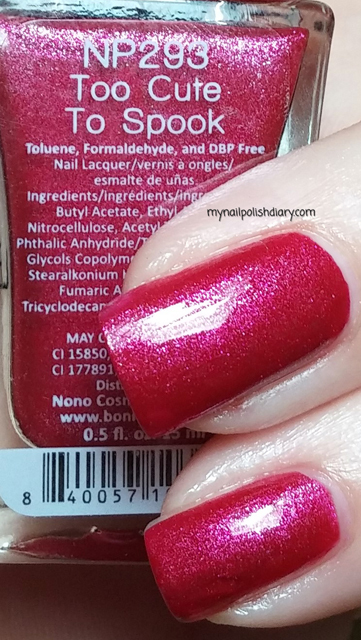 I love this polish! It's unique to my collection and that is always a good thing. Application was not stellar. So far both polishes I've used from this collection have had a terrible formula. The pretty colors make up for it though. Once it's on, it's great. I really enjoy this mani!